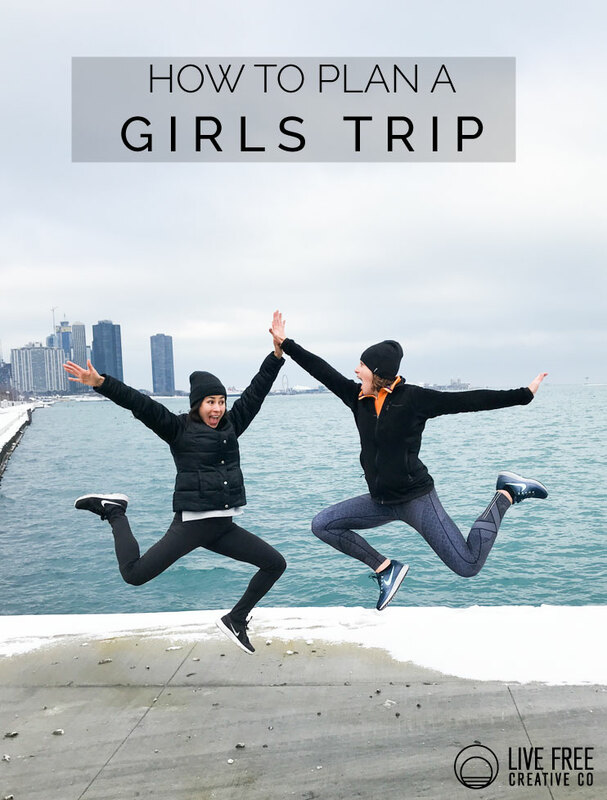 I thought it would be fun to share how to plan a girls trip, because sometimes the only obstacle to having a great experience is knowing where to start. In this case, I knew I was moving from Texas and was really looking forward to a chance to reconnect with some friends after my move. Looking ahead just a few months helped me to start planning the what and where of the trip. If you want to get together for a birthday, a reunion or anniversary of friendship, or something specific like to see a concert or play, having something concrete to start planning around is a great place to begin. I believe a fun girls trip can happen at any stage of life and any budget. This factor will determine a lot of the others, so it is important to get out of the way early. If you don’t already know exactly who is coming, you can at least consider the possibilities and cater the budget to be reasonable for those you might want to invite. You may also be able to adjust the budget higher by planning further ahead, so that you and your friends have time to save some money for the trip. When creating a budget outline, consider things like travel cost (flying, driving, car rental, uber), accommodations cost (airbnb, hotel, staying with family, camping), food cost (cheap eats, gourmet restaurants, buying groceries to cook), and activities (tickets, passes, events). Everyone can be responsible for their own portion of the trip, but it is helpful to give people an idea of possible costs heading in. For my recent girls trip, I knew that seeing Hamilton would be a fun secondary reason to get together. Initially I thought we would choose New York to see it on Broadway. The tickets to those shows ended up being hundreds of dollars more expensive than to the shows in Chicago, so we went with that. It was up to everyone to find their own flights, and because of the cost of the flights and play, I found an affordable and still excellently located AirBnb to rent for our stay. Then, we ate at fun, reasonably priced restaurants and split up the checks. Being somewhat budget conscious made it easier to make decisions that everyone would be comfortable with so that money didn’t become an uncomfortable issue. With a smaller budget, you can stay nearer to home, find places to cut costs (like staying with a family member or friend) and have a really fun staycation. Some of the best time spent with friends can be snuggled in a cabin in the woods, or in a cool apartment in a nearby city that you haven’t explored. During one of the last meals of our Chicago trip, we were discussing future plans and one friend mentioned wanting to go to North Dakota (a state she had never been to). 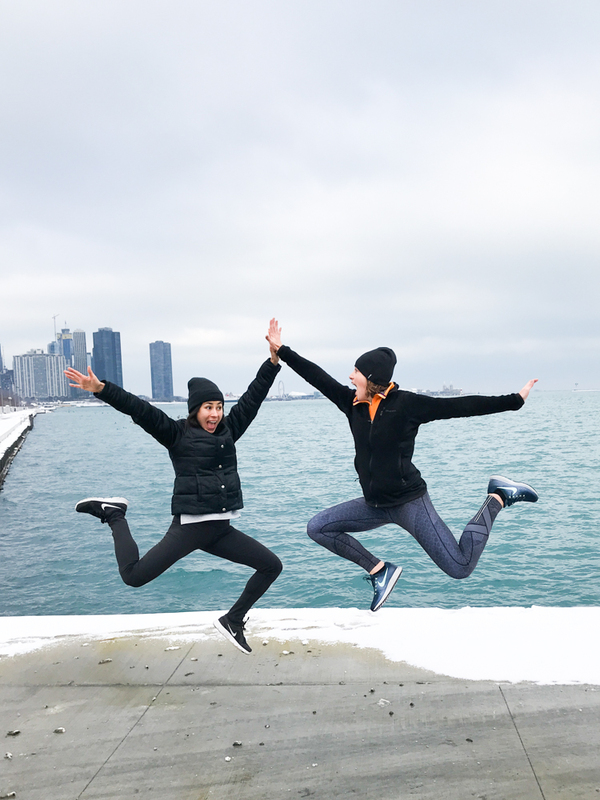 There are really cool and different experiences in every city, and getting out together to explore almost anywhere you go will be amazing to spend time together. 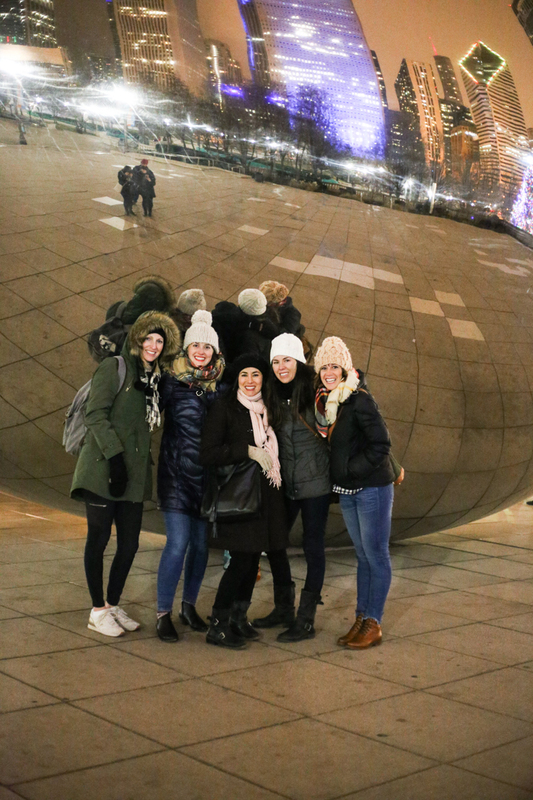 Some of the fun places I have been on girls trips include: San Francisco, Seattle, San Diego, Palm Springs, Las Vegas, Europe, and this recent trip to Chicago. I have my sights set on a cool hotel in Baja California for my next one. Really anywhere you choose can be amazing. In order for people to commit to coming to a girls trip, I find that it is easiest to have the budget, location, and date figured out first. That way, people know what they are getting into. Of course, you can be flexible with any of these things as people join in, but I think it is so much easier for one planner to take the lead up to this point, with some input, than to have everyone try to decide together. When choosing the date, consider the weather, tourist season, and attractions of the area. Those factors will determine a lot of the feel of the trip. 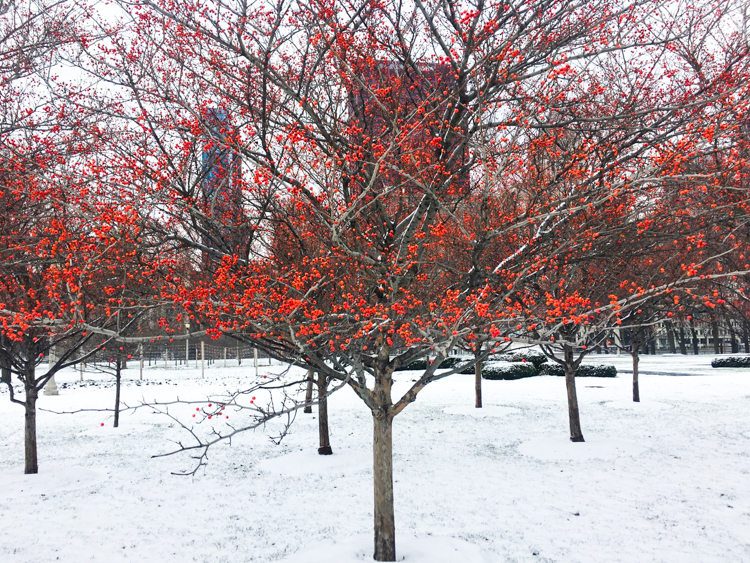 For example, Chicago in December? Cold and Christmasy. 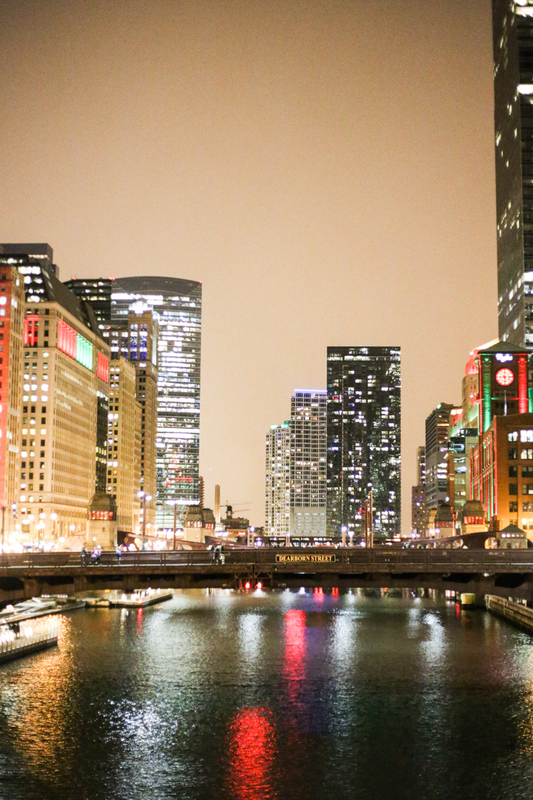 We had an amazing time, and the city was all dressed up for the holidays. And, we made sure to plan all indoor activities because it was really freezing outside! If you need more time to save up, consider planning months in advance to help with finances and logistics. Traveling off-season will help with some of the prices, and may also decrease the attractions that are open, so figure out what the feel of the trip will be and mark it on the calendar. Depending on the type of girls trip you are planning, this could look like an email, a formal invitation, a text chain. Whatever the best way is to communicate what you’re planning. I was really lucky that when I texted my friends about spending a quick weekend in Chicago to see Hamilton, everyone was immediately interested and jumped on board. Once I knew how many were committed, I was able to move forward with finalizing plans like the accommodations and booking tickets to the show. 6. Book accommodations and activities. Some things need to be planned ahead, like where you will be staying and if you will be attending any ticketed events. Others, like where to eat and walk-in activities can be added to the itinerary with more flexibility. I love staying in AirBnb apartments and homes when traveling. I find the cost to be lower and the number of occupants higher than a typical hotel. Of course, where you stay will be determined a lot by the location and budget. I also love a great hotel, and a nice campsite, and the guest room of a friend’s house. Wherever it ends up being, make sure it is planned ahead. Tickets to Hamilton, of course, were bought months in advance. Had we wanted to see a less popular show, however, it may have been easy to grab them while in the city last-minute. I loved having the flight, room, and play all paid for in advance, because when we arrived all there was left to pay was the meals and additional entrances to tours and museums, so the overall financial impact of the trip was spread out. 7. 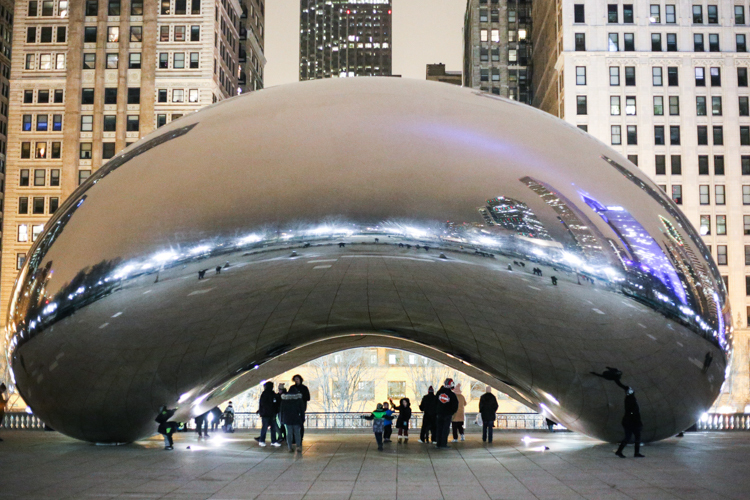 Plan a flexible itinerary. Have a good idea of what you want to do, see, and eat on a girls trip, before you arrive. I like to do this research by both asking for recommendations from friends and family members who have traveled to that city recently, as well as with google searches for the “best of” in the area. If I won’t have a car available, I also love the option of searching on google maps for nearby attractions and restaurants. When you have a list to work off of, there is always another option if plan A tanks, and you can leave room to discover unexpected places along the way, too! 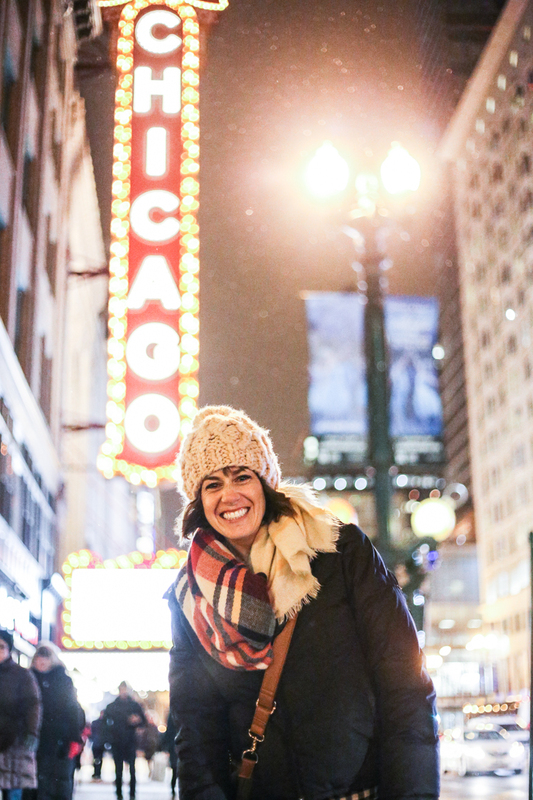 For this girls trip to Chicago, I had looked up and had recommendations for some great brunches and dinners. For food we hit The Bongo Room, Yolk, and The Gage for amazing brunches, and Quartino and The Girl and The Goat for dinner. We also stopped by the new Nutella Cafe and ordered late-night deep dish from UNO. Our activities beyond Hamilton were a Mob Tour (which was awesome), exploring the gorgeous and free Chicago Cultural Center, running along Millennium Park and Lake Michigan, seeing all of the many stones inlaid in the building where Dillon’s Candy Store is, and spending the last few hours of the trip taking in the incredible Art Institute of Chicago. It was all perfect. After all of the planning, thought, investment, and work to get together, I love to make my girlfriends feel special and welcome with a small welcome gift. Something practical like tissues, lip gloss, a bottle of water and a snack adds a fun, personal touch. Or you can get crazy and put together a whole fun basket of goods (think sunscreen and a towel for the beach, nail polish and slippers for a cozy retreat, city-centric and still useful souvenirs like a mug or postcard). I grabbed some hot dog ornaments, small hand lotions, sea salt chocolate, and a bath bomb for my Chicago trip, and everything went over well (but the bath bombs had to be saved for home since the Airbnb ended up only having showers!) That extra bit of thought adds a really special energy to the group dynamic, and kicks things off. 9. Enjoy and go with the flow. The one consistent in my experience traveling is that not everything will go according to plan. So, stay optimistic, enjoy the adventure, and go with the flow of the trip. Everyone will have a great time with the expectations clear and the itinerary planned yet flexible. Remember that not every personality is the same, and try to give everyone the space she needs to get ready, make decisions, and enjoy her own trip, as well! I love making time to experience things with my favorite women, whether my family or friends. I really believe in the value of sharing new adventures and binding ourselves together through intentionally making space to be with each other. 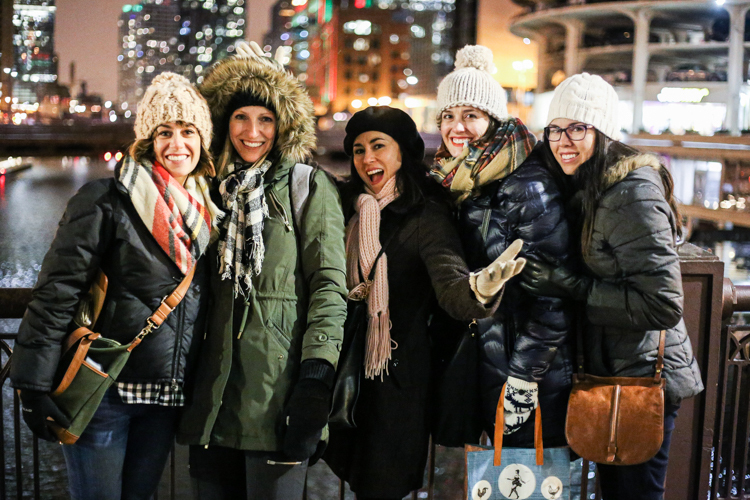 A girls trip is a fun way to get together! I hope these tips help you plan a girls trip of your own sometime soon!